Here's one that I found recently. I swear that Henry is treated like a cute pet in this triangle. Wook and Hae just can't stop touching him and his cute mochi cheeks. henry doesnt seem too bad though... for ryeowook, that is. Ahhh . . Henwookhae is love. but they are both 2 cute couples :DDD seriously. 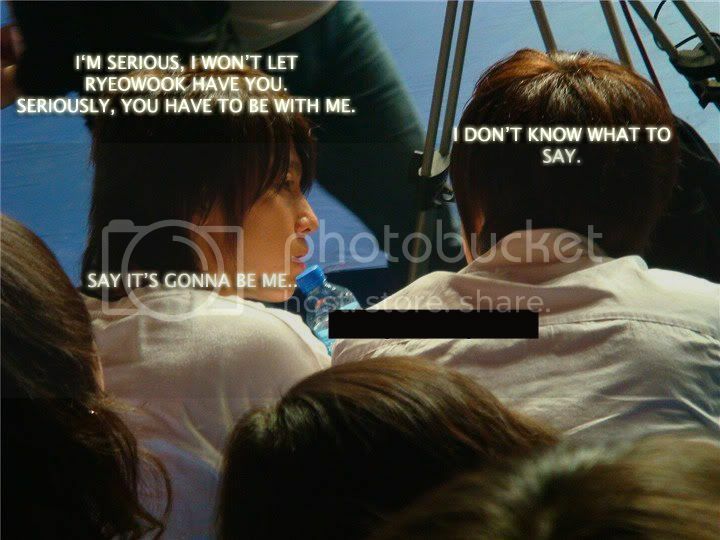 ^ Haha seems like Ryeowook is jealous. i was totally ROFL the whole time.. Hae & Wook seriously cant get enough of Mochi! as soon as the camera zooms out around 1:48 you'll see Hae touching Henry's hand and plays with his chin the whole time. Not to be outdone Wook starts touching Hen's hair. Now im wondering how Henry is feeling right at that moment. arrghhh im torn as who am i rooting for Henry but im kinda leaning towards HenWook! Ryeo is just ridiculously cute around Henry plus Hae is still best with Hyuk Jae so HenWook FTW!! I like this little triangle but RyRy all the way ! I just noticed while watching the interview, the cameraman really likes zooming up on the boys XD! He even zoomed up on Hannie and Hae's chest I thought he was going to zoom onto Hannie's crotch at one point *0* XD Or maybe he's just fulfilling us fangirls and boys >.> wish XD! OMG thanks, that was so cute, Donghae just seemed to be unable to keep his hands off Henry and Ryeowook wanted piece of the action too. They're sooooo cute. Henry is just 3 adorable. H a e W o o k? the calm before the storm , , , friends or enemies? RyeoWook: M E! It's gonna be M E! DongHae: Alright then. If that's how it's going to be . . .
RyeoWook: I'm not letting Henry go. RyeoWook: Shouldn't we ask Henry then? RyeoWook: I can't take it anymore! I need an answer, NOW! the a n s w e r? Henry and Ryeowook look sooo cute together!!! You guys who posted video links, I will add to page 2, first post! So It would be easy for coming people to watch.. Thank You for contributing, please contribute more! Lollll Ryeowook really likes Henry. Oh right. DongHae why are you cheating on Hyukkie??!! Oh my gosh, I haven't watched it yet, No time because of school, but even if I haven't watched it yet, the first pic of Henhae that I posted made me think twice if I'm really going for Henwook.. Lol! It's quite problematic.. 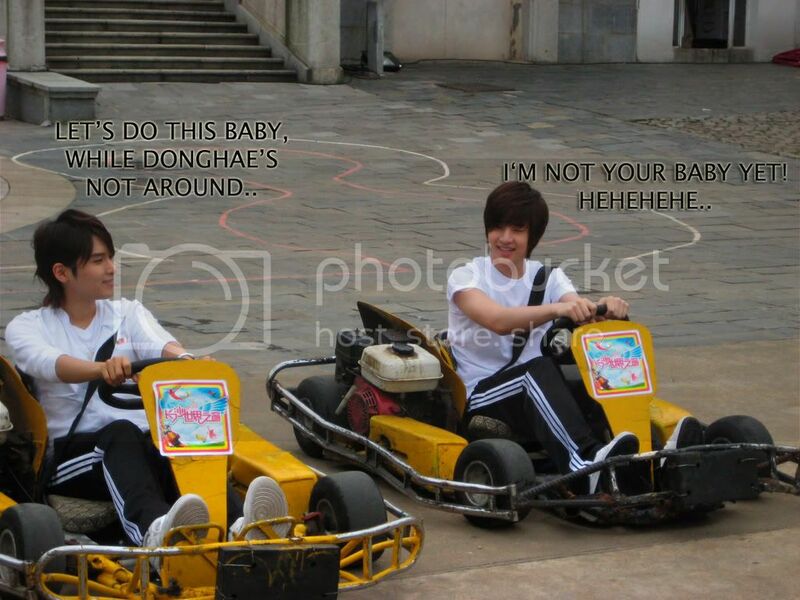 But I'm also likin Henhae.. Errr my gosh! Noooooo.. He's meant for Hyukjae! Lol! I guess i'mma watch the vids now and see what happens..
henwookhae. aww, they look too cute. henry is so cute. i didn't realize how white he was until now.